It's a known fact that I love online shopping. 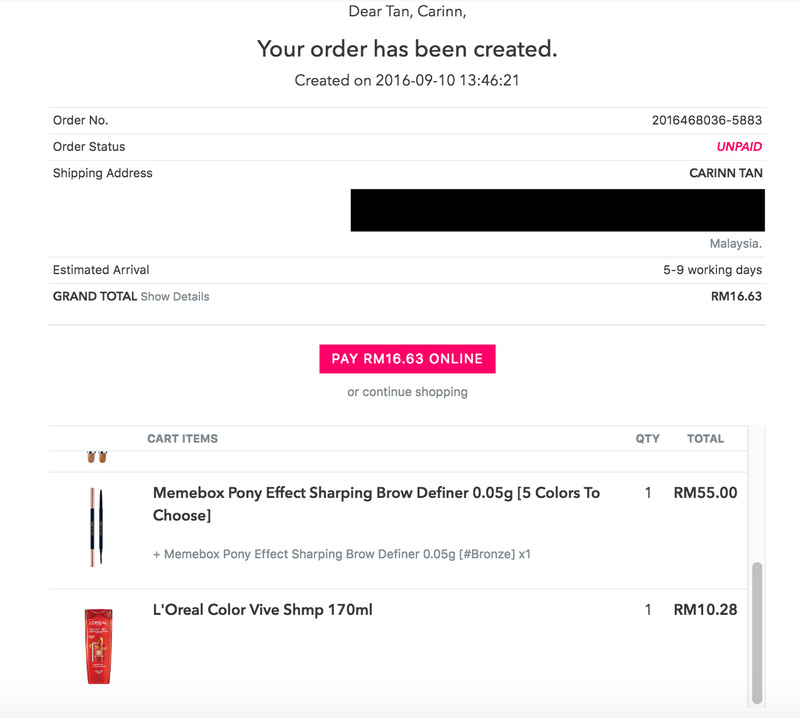 In fact, I'd say that I get 80% of my shopping done online because a) there's not many choices in JB malls and b) prices online are way better, plus sometimes I get more savings as well. So internet banking is nothing new to me, but I've also come to understand that not everyone has that luxury nor trust in their bank providers to do online banking. 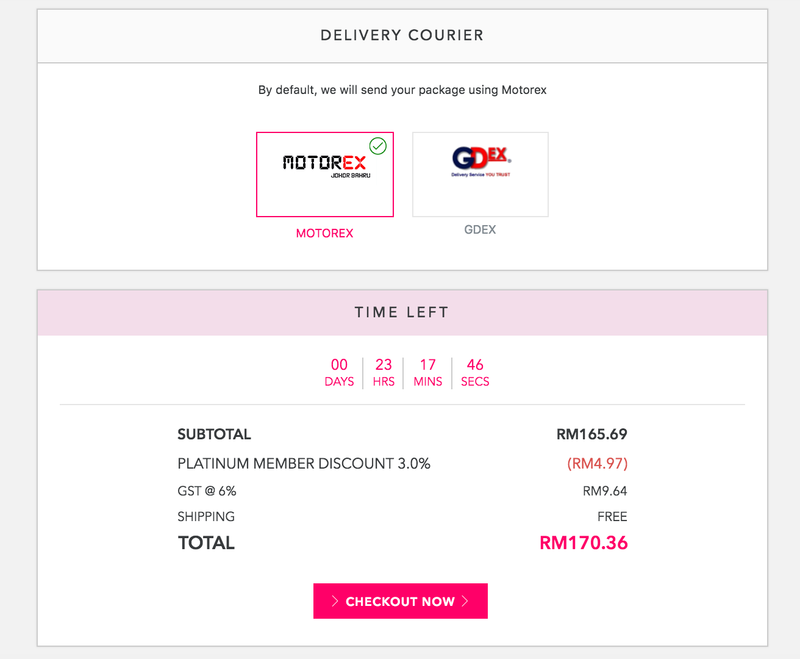 For those of you who shy away from online shopping because of this very fact, I'm here to tell you that you can set your worries aside because with MOLPay CASH, you can now shop online and pay offline with a peace of mind! Alright, I believe I've talked about Hermo Malaysia multiple times that you're probably bored of it now (but hopefully not). They are one of my go-to sites when it comes to beauty fixes, especially to scour for products that are not readily available in Malaysia. In fact, I've recently done an unboxing with them here! I've also gave a brief tutorial on How to Shop on Hermo which you can read HERE. With Hermo's new site layout in place, the steps are more or less the same but I will be talking more in-depth about how you can use MOLPay CASH to pay for your purchases. MOLPay is a leading payment gateway in Southeast Asia. Many online sites use this multi-currency payment gateway that provides complete coverage of payment methods for their sites, including credit & debit card processing, domestic internet banking and Online to Offline (O2O) payment or MOLPay Cash, which is what we will be talking about today. MOLPay CASH accepts cash payments for online purchases and you can do so through the nearest physical outlets such as convenience stores like 7-Eleven or petrol stations. Currently, MOLPay CASH has over 40,000 physical payment points in Southeast Asia. 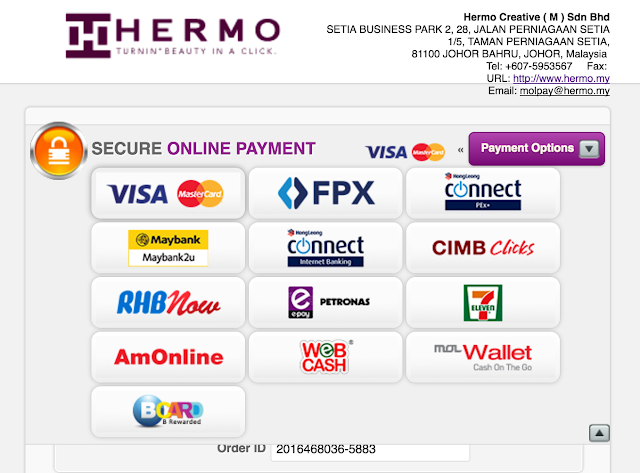 1) Shop at www.hermo.my and then proceed to Checkout Now. 2) At this stage, you will be required to key in your shipping details and select your desired courier service. 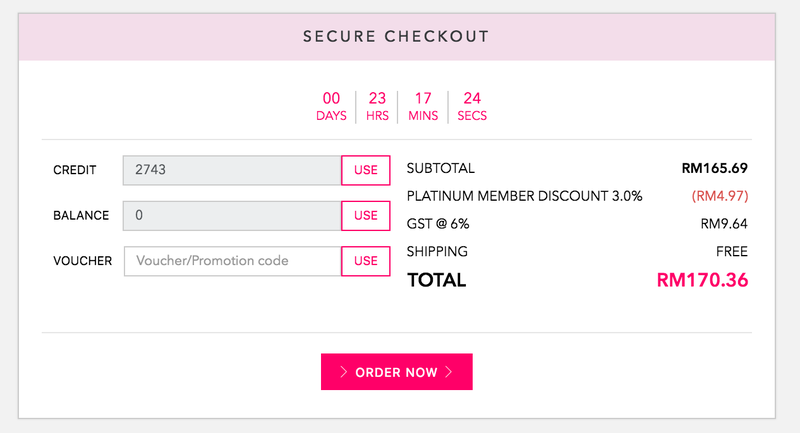 Then, click Checkout Now. 3) Before you click Order Now, any discount codes you have will be keyed in here. 4) Select MOLPay CASH as your desired payment method. 5) Once your order has been created along with your Order Number, click on the pink Pay Online button in the centre. 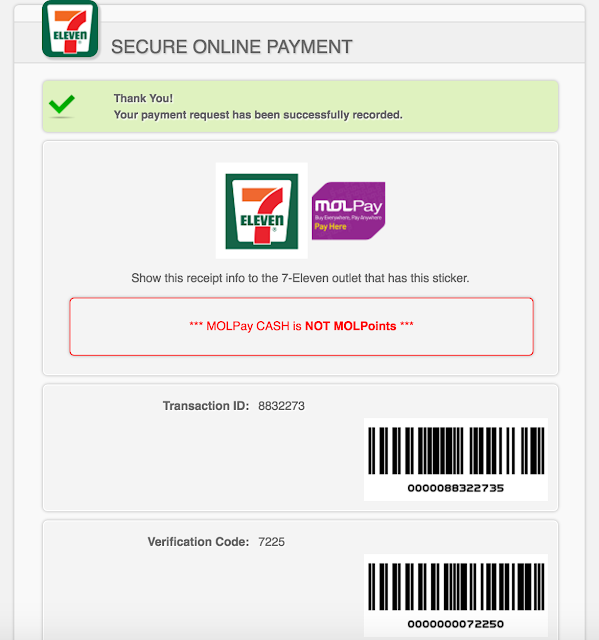 6) Click on the 7-Eleven logo as your payment option. 8) Go to the nearest 7-Eleven store to make your payment. I find it to be quite helpful to check if they have the MOLPay sticker outside the store first before you enter as each branch may vary (but most of the time they should have it). Tell the cashier that you wish to make a payment with MOLPay CASH & show her the Transaction ID & Verification Code. 9) Once the payment has been confirmed and paid, the 7-Eleven staff will issue you a MOL-MOLPay receipt and 7-Eleven receipt (2 receipts). However, I only received one for some reason.. But it's ok. You do not have to inform Hermo via email after you have done the payment they will be informed automatically. Hermo will send you an email to say that they have received the payment as well! 10) Wait 3 - 7 days and your parcel will arrive at your doorstep! Wheee! So simple, eh? I find that this method is extremely useful for people who do not use internet banking, but there are its downsides as well for me as I don't fancy purposely needing to drive to the nearest convenience store to pay. HAHA ok, I admit I'm just lazy. All in all, this is a very considerate and convenient method that MOLPay has developed as it really can help more people step out of their comfort zone and do some online shopping. 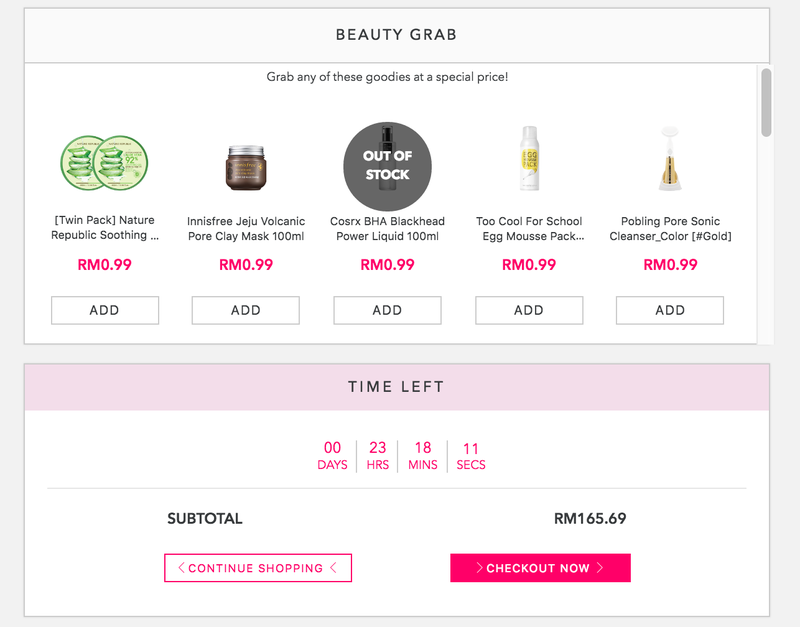 Make sure you check if your favourite website offers this service before you shop as it can make your life so much easier than going out to malls to shop, I promise! 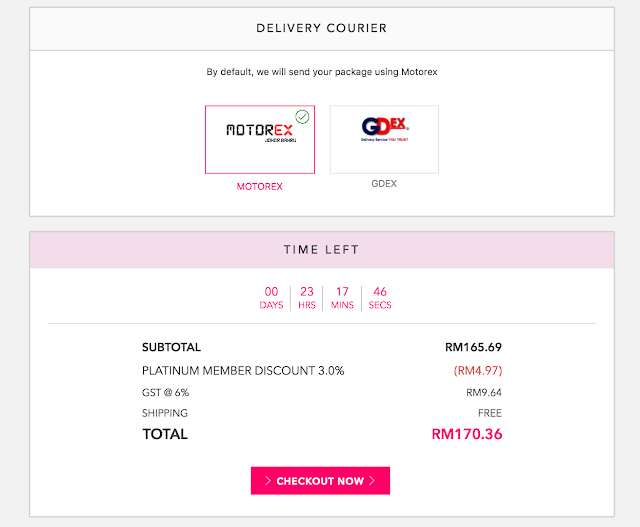 *Offer is valid for one-time usage only, once per customer, not applicable on OMO deals and not applicable during promotional events. WAHWAHWAH CANGGIH SIAAAAA. This is a great way seriously.